Indeed, facial piercing has become so common that a small nose stud or lip ring just won’t do for those who want to stand out from the crowd. Even employers appear to be backing down on the “No Piercing or Tattoos” policy. According to a survey conducted by Pew Research, for instance, 32% of young adults wear clearly visible tattoos and over 45 million Americans have at least one tattoo. While this doesn’t mean that getting a facial piercing makes you immune to workplace discrimination – especially in very conservative industries – it is no longer the automatic deal breaker it once was for job candidates. Named after Marilyn Monroe’s famous beauty mark, this piercing (usually a small ball stud) can be placed on either side above the upper lip. These are particularly popular with women because they are less common than nose studs but are still subtle enough to produce a delicate look that many prefer. Nasal bridge piercings are an interesting way to draw attention to the eyes. 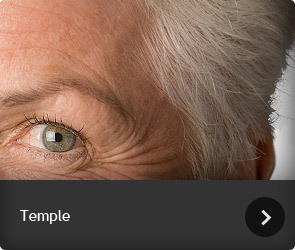 The piercing enters horizontally at the top of the bridge and through the skin. 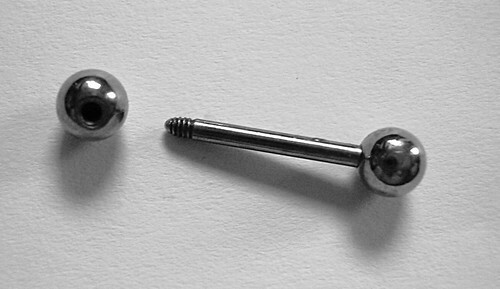 Typically, a small barbell (a bar with two ball studs at each end) is used since the piercing’s location can be a visual distraction for the wearer. The opposite of a labret piercing, the “Medusa” is inserted into the philtrum directly underneath the nose and above the upper lip. Again, ball studs are the most common choice, though sometimes labret spikes are used instead for a more radical look. This area is also large enough to sport two smaller piercings if one is not enough. Spiral piercings, which involve a spiral-shaped hoop with two ball studs at each end, are an interesting alternative to wearing a line of individual hoops. While most people have these inserted into the cartilage of their upper earlobes, smaller spirals can also be used for the eyebrows. Studs are usually preferred, but there are also spikes, flowers and other designs for those who want something different. “Snakebite” piercings are basically two studs placed underneath each edge of the lower lip. They are popular with individuals who want to make a stronger statement than a single labret, though sometimes both are used to create a really striking look. Although ball studs are always popular, spikes also look pleasing due to the way they accentuate the downward turn of the mouth. While these facial piercings represent some of the most interesting ways to adorn your face, keep in mind that there are medical risks involved. According to the British Medical Journal, about 28% of all people who receive piercings from areas other than the earlobes experience complications such as infection, swelling and bleeding. Individuals with lip and tongue piercings may also experience tooth and gum damage from the metal backings. You can reduce the chance of experiencing these complications by having your piercings performed by a reputable and licensed piercer who uses sterilized needles. For lip and tongue piercings, a professional who has completed one of many dental assistant programs can help you with the care and maintenance of your mouth to prevent tooth damage and infection. While no type of piercing is risk-free, making sure that you regularly clean your jewelry and take precautions while engaged in activities that could lead to tearing accidents will help you get the most enjoyment out of your new look. Brandi Tolleson is an avid writer and researcher on fashion, health and the beautifully bizarre.